Sudan’s new authorities must investigate the role of the country’s former spy chief, General Kamal Abdelmarouf Salih Ghosh, the head of Sudan’s feared National Intelligence and Security Service (NISS) in the killings of demonstrators, and journalists during months-long protests that preceded the fall of president Omar-al-Bashir, Amnesty International said. A grab from a broadcast on Sudan TV shows Lieutenant General Abdel Fattah al-Burhan Abdulrahman taking oath on April 12, 2019 as chief of the new military council, in the capital Khartoum. 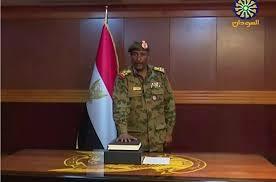 – Sudan’s military council chief General Awad Ibn Ouf announced on April 12 he was stepping dwn in favour of General Abdel Fattah al-Burhan Abdulrahman to succeed him, just a day after he was sworn in following the ouster of veteran president Omar al-Bashir. Ibn Ouf also said that before stepping down he had fired his deputy in the council, Lieutenant General Kamal Abdelmarouf Salih Ghosh — the head of Sudan’s feared National Intelligence and Security Service (NISS) and a regime insider — resigned his post on Saturday, two days after al-Bashir was deposed in a palace coup. He had overseen a sweeping crackdown led by NISS agents against protesters. It is crucial that Sudan’s new authorities investigate Salih Ghosh’s role in the killings of scores of Sudanese protesters over the past four months,” Amnesty said in a statement on Saturday. The rights group said “allegations of torture, arbitrary detention and other human rights violations under” Ghosh’s supervision of the intelligence service should also be investigated. Bashir had appointed Ghosh as NISS chief in February 2018 for his second stint in the post, after a first tenure ended in August 2009. Ghosh had worked on and off for NISS ever since the 1989 coup that brought Bashir to power, according to Sudanese media. 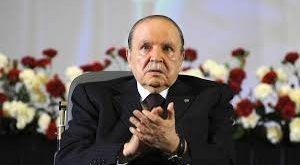 He was credited with building the organisation into one of the most important pillars of Bashir’s regime before his dismissal a decade ago. He was later jailed on accusations of plotting a coup but no evidence was found against him and Bashir pardoned him. Over the years NISS has overseen repeated crackdowns on government opponents and the media. Its agents frequently confiscated the entire print-runs of newspapers that criticised government policy or reported on protests. The new authorities in Sudan must address past human rights violations and undertake desperately needed reforms to ensure that there can be no repeat of the heinous crimes,” Amnesty said.